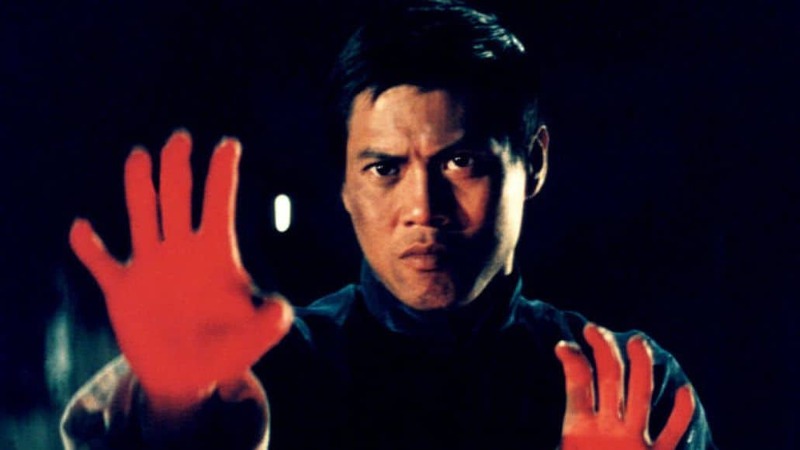 In the 1970s, American audiences were treated to an explosion of Hong Kong, Korean and Taiwanese martial arts and kung-fu films, including the works of Bruce Lee and rival studios Shaw Brothers and Golden Harvest. As the output cranked out in that style featured plenty of full-fledged classics as well as numerous cheap knock-offs, none of those films would be involved without the influence of one film in particular, Jeong Chang-hwa’s notorious “Tian xia di yi quan”, which went through a slew of titles including “Hand of Death”, “King Boxer” or “Invincible Boxer” but more famously known as “Five Fingers of Death”. After an attack on his teacher, Chao Chih-hao (Lo Lieh, from “The Dragon Missile”) and his beloved Sung Ying-ying (Wang Ping, from “Tiger Killer”) are asked to join his colleague Sun Hsin-pei (Mien Fang, from “Intimate Confessions of a Chinese Courtesan”) before an upcoming tournament is held in the area. When his training is found to be inferior, he starts training under Yen Chu Hung (Chin-Feng Wang, from “The 14 Amazons”) who immediately begins taunting and teasing him over his lower skill set which is put to the test when Meng Tung Shun (Tien Feng, from “The Chinese Connection”) and his gang move into the area. As the two schools begin jockeying for position in the big tournament to be able to rule the area, he embarks on a quest to improve his skill-set tremendously to be able to help his newfound family hold back the invading gang. This here was quite an entertaining if somewhat troubling effort. What really works is the continuous nature of the attacks. These offer up a impressive pace within the film. The opening ambush on the professor gives a solid start, as the outnumbered instructor is able to fend off the gang with a bit of intervention, the street fights are a solid manner of introducing us to the characters’ skillsets in brief fashion, while the series of confrontations within the cantine where the gang resides, provide some brutal and somewhat bloody brawls between combatants. That increases the deeper it gets into the film as both sides pull out all the stops to prevent the other from getting to the tournament, beating up rivals outside the dojos or ambushing each other in alleyways throughout the village which set up the fine action choreography of Chen Chuan and Liu Chia Yung that is greatly exemplified by the two big action scenes. The ambush in the woods where Chao’s maimed horribly in an accident is starkly brutal and beautiful at the same time, while the multi-fighter tournament in the second half offers the fighters numerous chances to showcase their skillset as the honor and pride normally featured in such films brings ‘Five Fingers’ to a close in a satisfying if cliched manner. The cast is just as solid as the martial arts prowess. 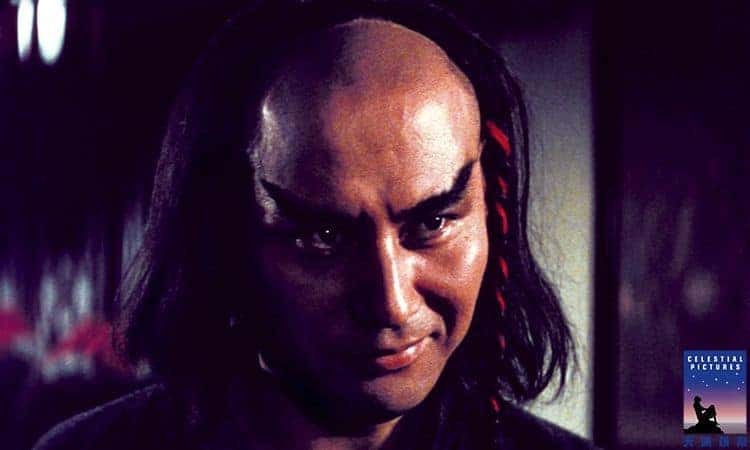 Lo Lieh as the hero Chao Chih-Hao is the archetypical hero found in Shaw Brothers’ films at the time. He’s courageous, kind and generous to a fault, trusts others to be as honorable and righteous as he is simply because of his training, which allows him to get into danger through these actions rather than acting with any reasonable behavior. However, that’s the trope of the studio’s heroes and he does well with the role, performing the martial arts with nice skill and power without difficulty, and allows us to stay on his side during the double-crossing later on. Of the two dojo heads, Mien Fang as the kind Sun Hsin-Pei and Feng Tien as the brutal Meng Tung-Shun both serve their styles nicely and emerge as the appropriate leaders for their respective styles. Like most women from this time period, Ping Wang as his love interest Sung Ying Ying offers nothing beyond a romantic subplot to make the hero more relatable and down-to-Earth but doesn’t do anything beyond that. The rest of the cast is typically one-dimensional brutal thugs or just bodies to be thrown around in the fights. Beyond the martial arts prowess on display, there isn’t much else to ‘Five Fingers.’ The simple story by Chiang Yang nicely keeps things moving along at a brisk pace by introducing reasons to fight each other as the rivalry continues to escalate, with various participants continually targeted in the name of honor and revenge. As these are topics that would be broached by hundreds of efforts both before and after this one, the film stands out for the simplistic nature of how it proceeds. The mere fact that it runs as long as it does, merely serves to highlight how nothing really changes from the start of the film to the end. Not even romantic dalliances or allegiances switching sides throughout the movie serve much purpose. It shouldn’t be fair to criticize ‘Five Fingers’ for that issue as others took these elements for themselves but it does emerge as a part of the film. As well, an odd structural dynamic of the story stretches this out a little longer than normal where the final revenge isn’t over with the end of the tournament as the film is stretched out with a couple of flimsy fighting that should’ve been added into the story earlier on so it’s not ten minutes too long. However, this isn’t a detriment as much as the simplistic nature really is. With some stellar work featured here and being quite an important piece of work in the genre beyond most measures within the film itself, this is certainly an important and prominent work in the scene. Wholly recommended to any fan of old-school kung-fu efforts or just martial arts cinema in general, while those who prefer more contemporary leanings in these types of films should still give it a chance anyway.